We love a good fried chicken recipe as much as the next person. This Copycat Planet Hollywood Cap’n Crunch Chicken is so good, you’ll want to make it up at home. Serve it up with Creole Mustard Sauce like they do at Planet Hollywood. Make your own, or buy the sauce and pretend like you did. We won’t tell. You can also mix things up and use a variety of sauces. 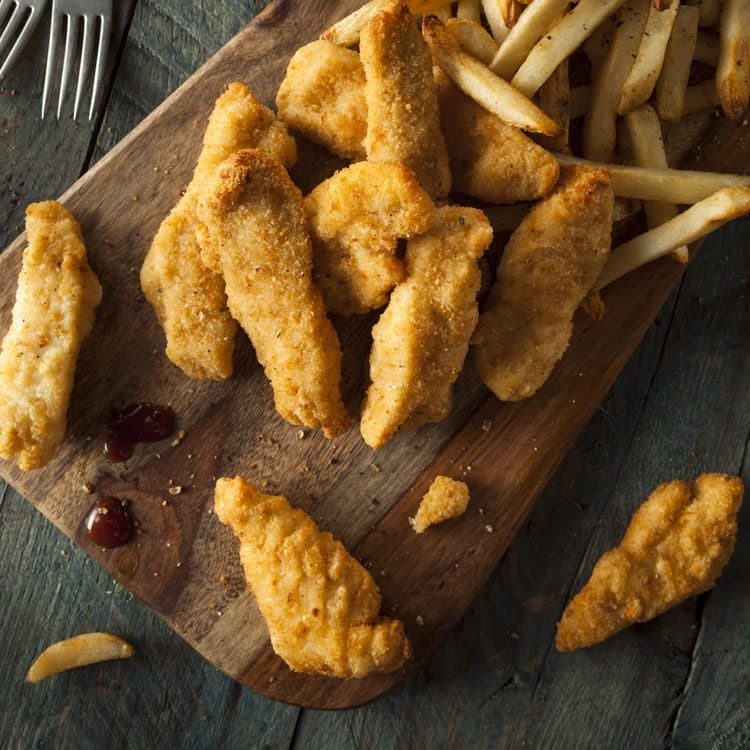 We happen to LOVE chicken nuggets and chicken strips with Famous Dave’s bbq sauce, but you better believe we enjoyed some of it with the delish mustard sauce as well. Some secrets are so shocking that when you figure them out you are dumbfounded. This is one of those times. But, have some trust, the recipe turns out super delicious and you don’t realize it’s cereal in there. Seriously– this Captain Crunch cereal in a fried chicken coating. You’ll never make chicken the old way again. We love chicken as much as the next person. In fact, we could probably eat it every day if someone else was cooking for us. Because lets face it, food just tastes better when you don’t have to clean up after all the cooking. Try our favorite Chicken Salad–it seriously is the best. Or, our amazing Creamy Chicken Enchiladas–total comfort food. We also could eat White Chicken Chili every week and not tire of the flavor. The spices blend to perfection and make your mouth super happy. Your family will call you a genius if you make this for dinner. They’ll beg for it later, so be prepared. Since you love chicken recipes about as much as we do–maybe even more–you’ll absolutely salivate over all the recipes in our favorite Chicken recipe cookbook. We’re talking about awe-inspiring recipes that will give you several ideas of recipes to try. All kinds of yum! 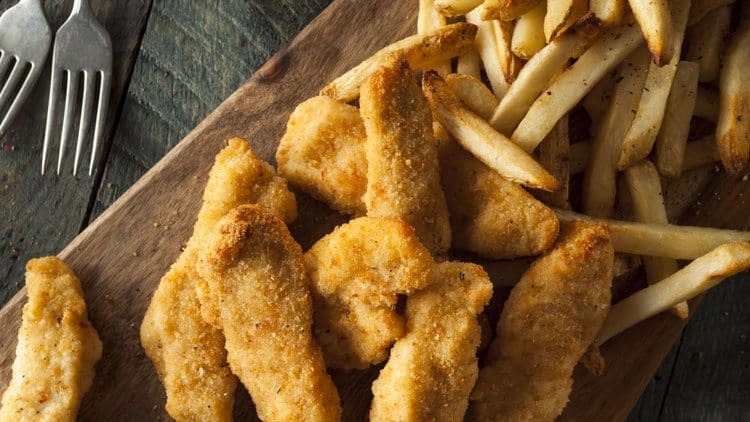 Make chicken tenders at home with this easy copycat recipe. 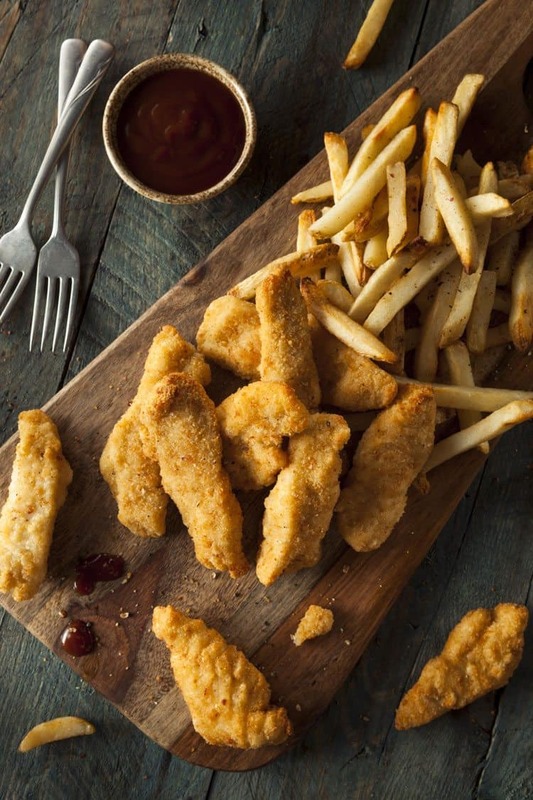 Homemade oven-fried chicken tenders are a healthy meal option. Grind cereals until crumbly in food processor, leaving some chunks a bit bigger than most. Using a shallow pan, spread crumbled cereal mix. Combine flour, onion, garlic and pepper in a bowl. Combine the eggs and milk in another bowl. Thoroughly dredge chicken in seasoned flour. Dip floured chicken in egg mixture, coating evenly. Dredge coated chicken in cereal mixture, coating well. In deep fryer, preheat oil to 325 degrees Fahrenheit. Once oil is heated to desired temperature, deep fry chicken in batches until golden brown, about 3 1/2 minutes. Serve with spicy Creole Mustard Sauce. Combine green onions, horseradish, garlic, red wine vinegar, onion, water, celery, cider vinegar, green pepper, Worcestershire sauce, mayonnaise, Tabasco sauce, hot mustard, salt, cayenne pepper, and yellow mustard. Serve on the side with the chicken. For a healthier, lower-fat option, cook in an air-fryer or bake in oven.